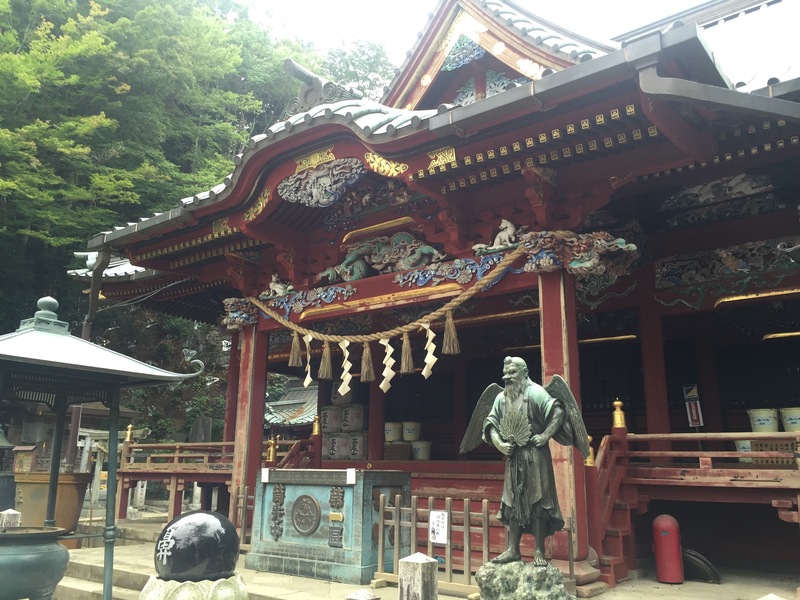 Another day trip option from Tokyo is Mount Takao (Takaosan). 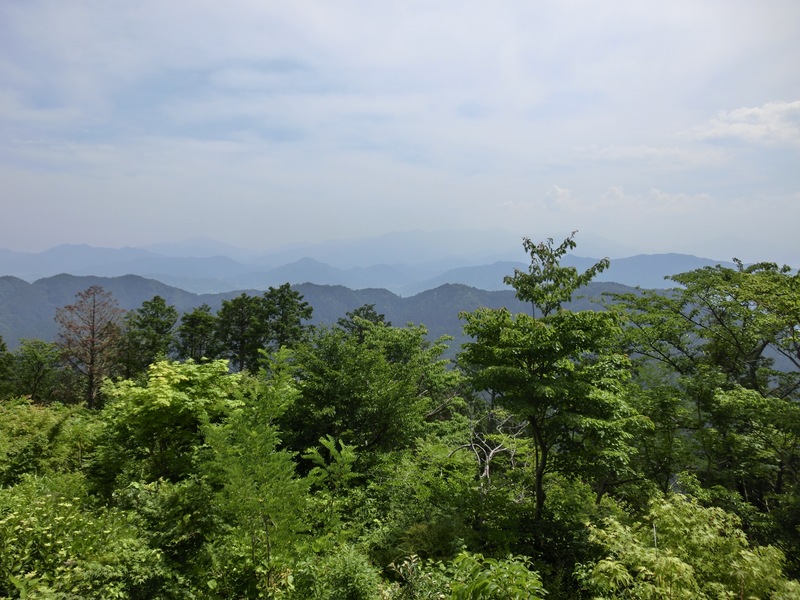 Only an hour by train from central Tokyo, this mountain has some gentle hiking trails and stunning scenery. 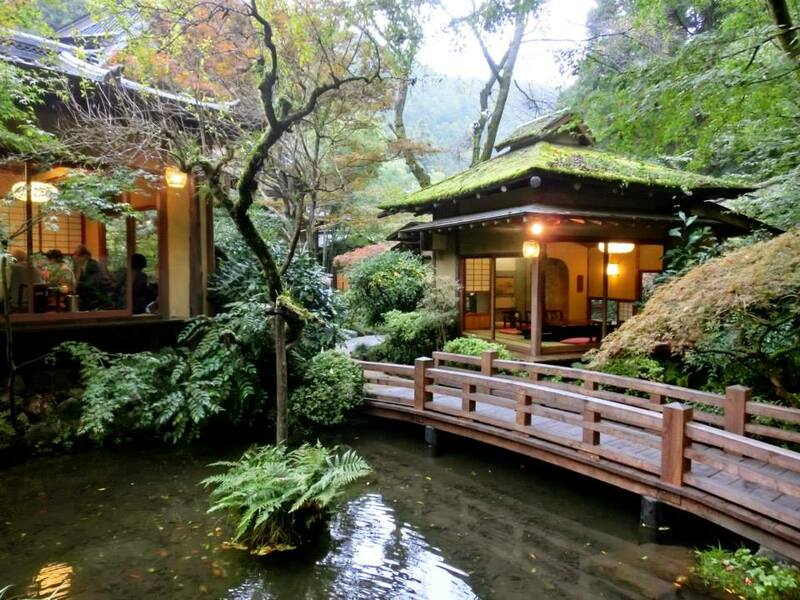 The newly built onsen (Japanese hot spring) at the base of the mountain offers a relaxing place to unwind and rest muscles tired from hiking. And to top it all off, my favourite restaurant is five minutes away. It’s a great place to escape the city! From the base to the top, it takes about 90 minutes to walk up the most popular Trail No.1, but you can cut the climbing time in half by opting for the cable car or chair lift that carry you part of the way up. 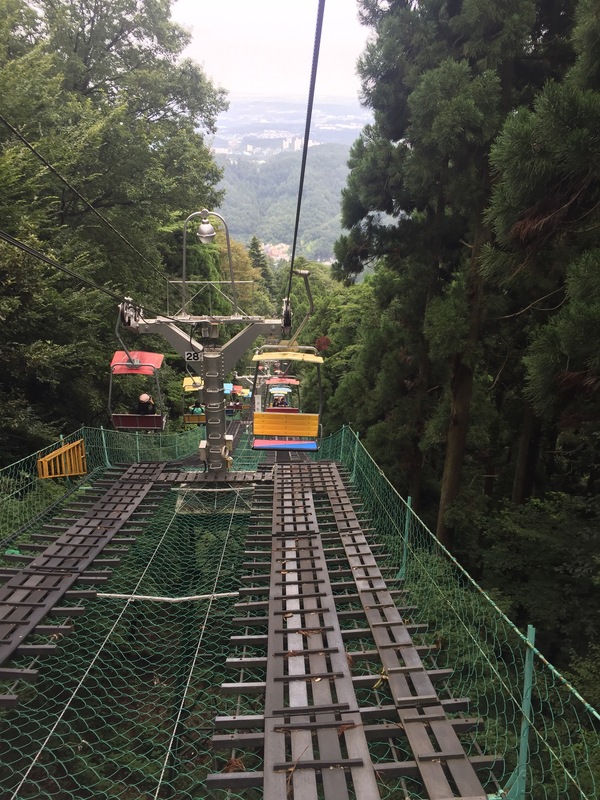 I’d recommend the chair lift – it’s nice to be able to feel the breeze as you head up and you get some great views. 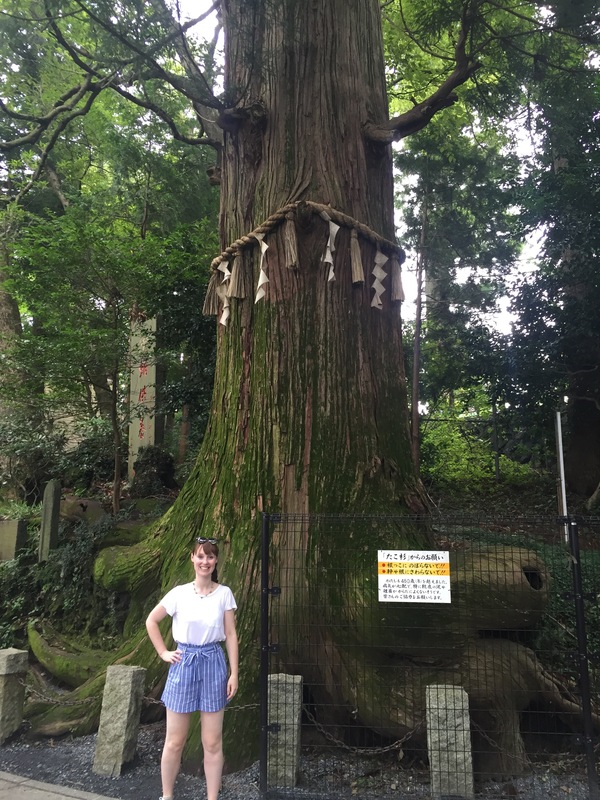 On the way up to the top, you pass some amazingly huge cedar trees on the trails; keep your eyes peeled for the sacred “octopus tree”, so called for the shape of its roots. Just before the top sits Yakuo-in, a temple where many people stop to pray to tengu (the mountain gods) for good fortune. The tengu of Takaosan come in to forms – one with a long nose, and the other with a bird’s beak. 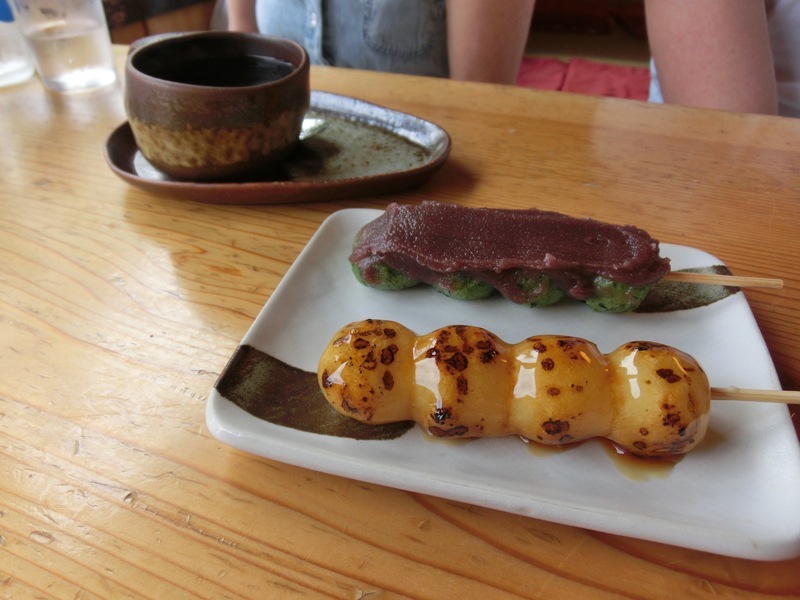 There are many food stalls and cafes along the trail where you can stop to top up your energy levels with some local soba noodles or a sweet treat of syrup coated dango. On a very clear day, you are able to see Mt Fuji from the top, although I’ve never managed to be this lucky. To see some more of the mountain and the beautiful forest, you can head back down the mountain on a different trail. I’d recommend Trail No. 3 which includes a walk over a pretty wooden suspension bridge, or Trail No. 6 which involves walking along the rocks of a dried out (or sometimes not so dried out if it’s been raining!) river bed. Once you’ve made it back down, you can freshen up by taking a dip in the relaxing waters of the newly-built Takaosan Onsen that is attached to the train station. There are many indoor and outdoor baths to choose from, including one that is slightly carbonated. After all the hiking and hotsprings, you work up quite an appetite – thankfully my favourite restaurant in Japan (bold statement, I know, but it really is that good) is just a five minute shuttle bus away. Ukai Toriyama is a collection of 39 small buildings set in traditional Japanese gardens – if you are a group of more than two people, you will get your own little “house” to each your dinner in. 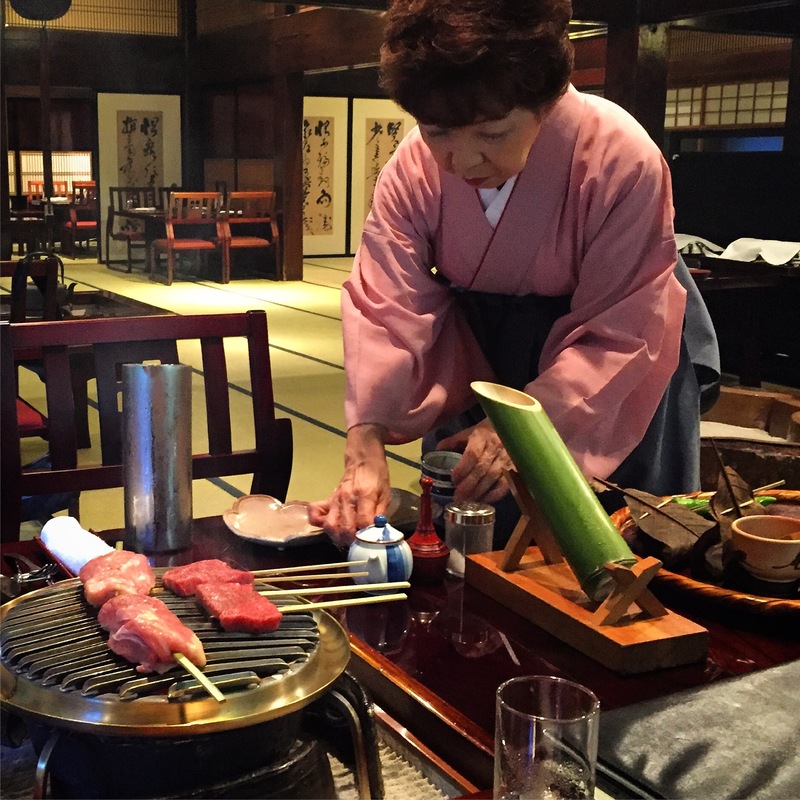 There are only course menus to choose from (ranging from around ¥5,000 to ¥9,000 depending on how many dishes and if you want to add beef or not), all including the speciality free-range chicken that is grilled on a small irori grill in the centre of each table. The food alone at Ukai Toriyama is worth making the trip out to Takaosan for! The chicken is some of the tastiest and juiciest meat I have ever eaten, and all of the other dishes are extremely fresh and delicious. To accompany your meal, you can order chilled sake served from a stem of bamboo. Reservations are necessary, and it’s worth arriving with enough time before your meal time to wander around the gardens – you can see the wasabi farm at the back and watch the chefs grilling iwana (river trout) over charcoal fires. For a few weeks at the end of July and beginning of August, they release fireflies into the gardens once night falls, which adds a truly magical element to dinner. How to get there: The fastest way to get to Takaosan is to take the direct express/limited express Keio Line from Shinjuku Station to Takaosanguchi Station. Alternatively you can take the JR Chuo Line from Tokyo or Shinjuku Station to Takao Station, and then change to the Keio Line for the final one-stop journey to Takaosanguchi. 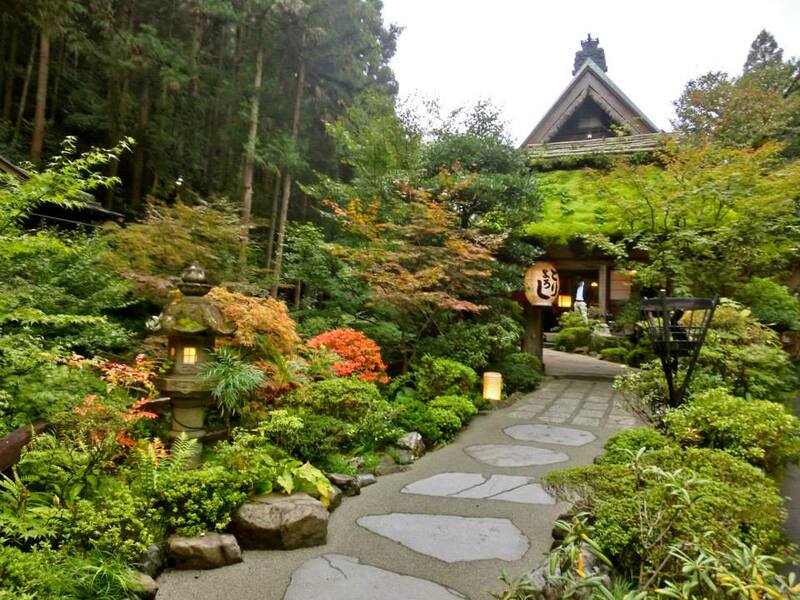 Holly’s top tip: make reservations for Ukai Toriyama before you go to Takaosan, you don’t want to miss out on this dining experience in the Japanese mountains.